“Dried pollack hangover soup” is the classic hangover food in Korea.“Dried pollack hangover soup” is the most representative hangover among dozens of hangovers in Korea. “Dried pollack hangover soup” is the soup made of dried pollack, white radish, bean sprouts, potato and green onion. Dried pollack has a plenty of essential amino acids, so it is effective for hangover cures after heavy drinking. So it is very popular with habitual drinker. 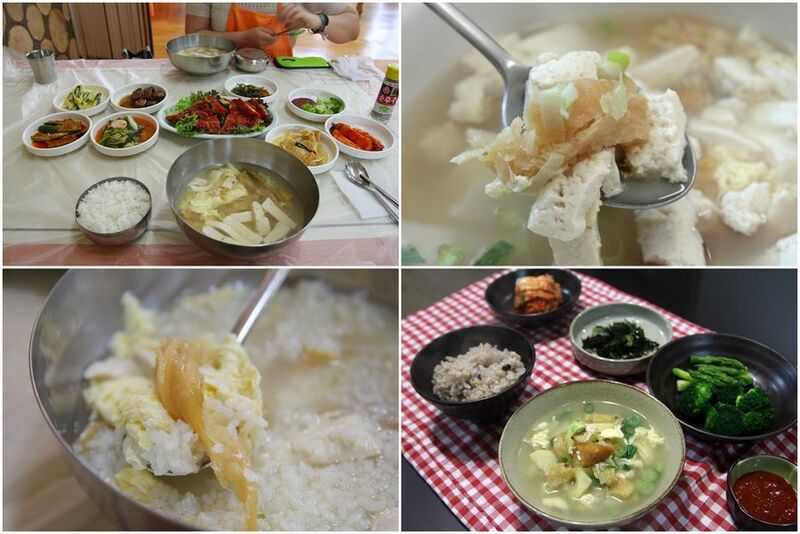 Dried pollack hangover soup is the representative local food of Gangwon-do. Dried pollack is the representative food of Gangwon-do because Gangwon-do is the producing area of pollack, and it has adequate conditions to make dried pollck. Dried pollack is made of pollack after it is frozen and dried all over winter. It is yellow and looks like cotton. It is light and doesn't have fishy smell. Dried pollack is originated from Hamgyong province that has perfect climate to make it. 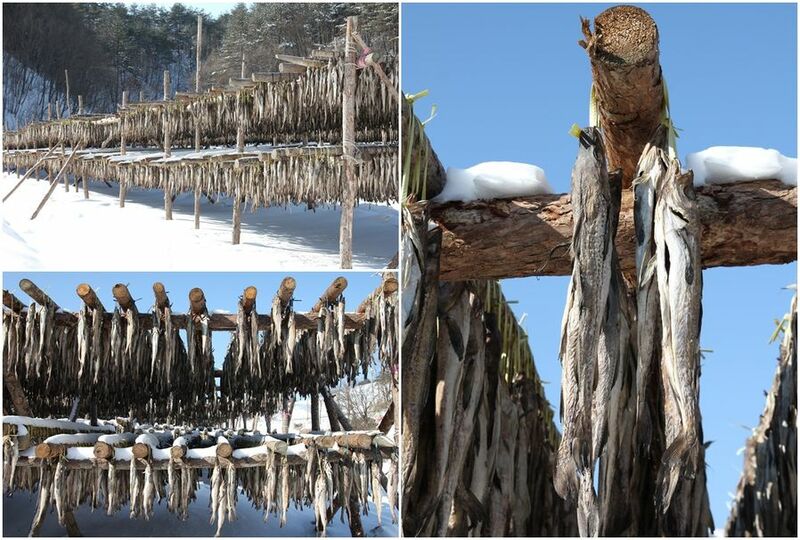 It has been known all around the country after refugees of Hamgyong province settled in Gangwon-do province and made dried pollack after Korean war. There is a number of dried pollack foods, but “dried pollack hangover soup” is the most popular. It is made of flesh of dried pollack, bean sprouts, white radish and green onion. Even though dried pollack is a fish, it doesn't have any fishy smell. It is aromatic and deep, so it is the perfect hangover. Also, it is popular home meal with light and clean taste. Like I said, there are dozens of hangover soup in Korean traditional food. Some people hate them because many hangover soup use the blood or gut of cow or pork. Even so, I think dried pollack hangover soup is the good for every people including foreigners. Spring is the season when dried pollack is shipped. Why don't you relive your stomach with delicious dried pollack after drinking? Dried pollack is made of pollack that is dried all over winter. Dried pollack hangover soup is made of this dried pollack. Sometimes, it is cooked with bean sprouts, white radish or potato which make the soup more aromatic. Dried pollack hangover soup is the perfect hangover food due to full nutrient components and clean taste. But it is the famous home meal, too. Dried pollack has a deep special taste made by special dehydrating process, so it would be hard to eat in foreign countries. Even though it is a fish, it doesn't have any fishy smell. It is aromatic, deep and fresh. Dried pollack hangover soup has the original taste of dried pollack. Don't mix the food with other seasonings, but just put a bowl of rice into the soup if you want to enjoy clean and aromatic taste of dried pollack. It doesn't have a strong taste at first. But it has special flavor so that you would want to eat again and again.